I’ve recently moved from a long – 18 year – stint teaching on an MA in Writing Sheffield Hallam University and now teach writing at both undergraduate and post-graduate levels at the University of St. Andrews. For most of my career as a writer, I’ve also taught writing: sometimes (I must admit) resentfully and purely for money – but more often with real enjoyment. It’s a privilege to have been involved with the developing talent of many emerging writers, and their projects, over the years, and my life – and my own writing too – has certainly been enriched and stimulated by it. I’ve often been asked: is it really possible to teach writing? The answer, of course, is yes and no. You can’t teach someone to have an ear for language, a subtle understanding of human psychology, or a gift for observation, (i.e. talent). Neither can you teach them to have the obsessive nature or the sheer stubbornness it takes to complete a long project like a novel. However, you can teach elements of the craft, thus helping to polish existing talent. And an important part of teaching creative writing is, like a coach, to be there at the side-lines willing and cheering the student on. I often teach one-off workshops and residential writing courses, most recently in Loutro, Crete and at Moniach Mhor for the Arvon Foundation. 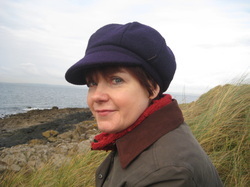 I also work as a mentor on the Gold Dust Scheme, and have done several residencies, including a three-year stint as Writer in Residence at the University of Edinburgh.